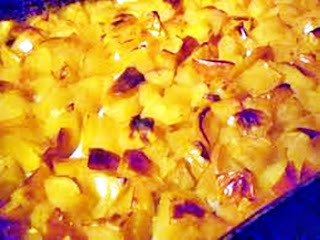 An experiment we loved, made with some of the apple bounty from my last post. This is really delicious. 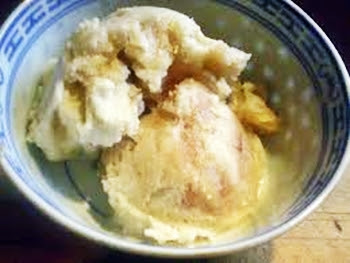 The brown rice syrup adds a faintly caramel-like flavor that makes the ice cream seem very rich. Place the milk into a blender along with the soaked, drained cashews, and blend until VERY smooth and frothy (make sure that it is not grainy at all). 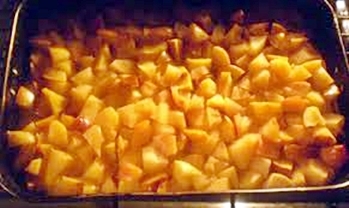 Mix all of the remaining ingredients, EXCEPT the Additions, into this mixture and blend again until it is VERY smooth. Chill the gelato mixture thoroughly, and then freeze according to directions for your ice cream machine. Add the Amaretti Crumbs 30 seconds before stopping the machine. 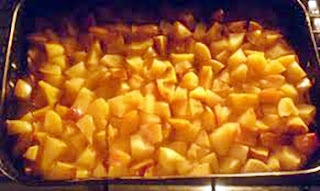 Remove the dasher and add the applesauce to the center. Using a small spatula, swirl the applesauce roughly through the ice cream. Scoop into a quart container, cover and freeze until hard before serving. Nutrition (per 1/2 cup): 273.7 calories; 18% calories from fat; 5.9g total fat; 0.0mg cholesterol; 131.1mg sodium; 182.5mg potassium; 55.8g carbohydrates; 1.1g fiber; 45.0g sugar; 54.7g net carbs; 5.0g protein; 5.8 points. Italians use crumbled amaretti cookies (almond macaroons) in many desserts (and even in a few savory dishes with Renaissance roots). Since macaroons are made with eggs, we can't use packaged cookies for this purpose. You can use this easy recipe when you need amaretti crumbs, and do away with the need to have baked amaretti on hand. Nuts and breadcrumbs can be quickly toasted in your microwave, if you like.. You can grind them easily and quickly in a small electric spice or coffee grinder, or mini-chopper. Mix all of the ingredients together well. Spread the mixture on 2 cookie sheets and place in the heated oven. Toast the mixture for about 15 minutes or until it has dried out a bit, but is still slightly chewy. Cool the mixture, then freeze in rigid plastic containers. NEW AND IMPROVED OKARA PARMESAN!